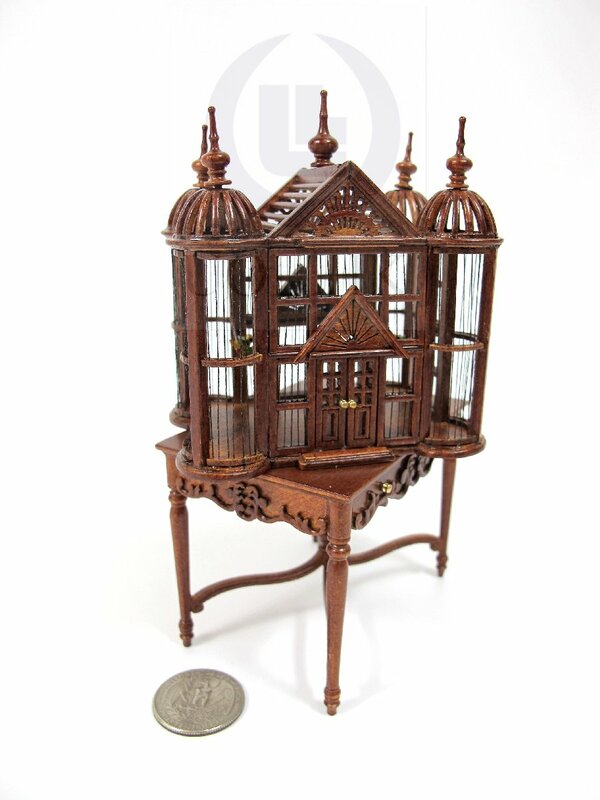 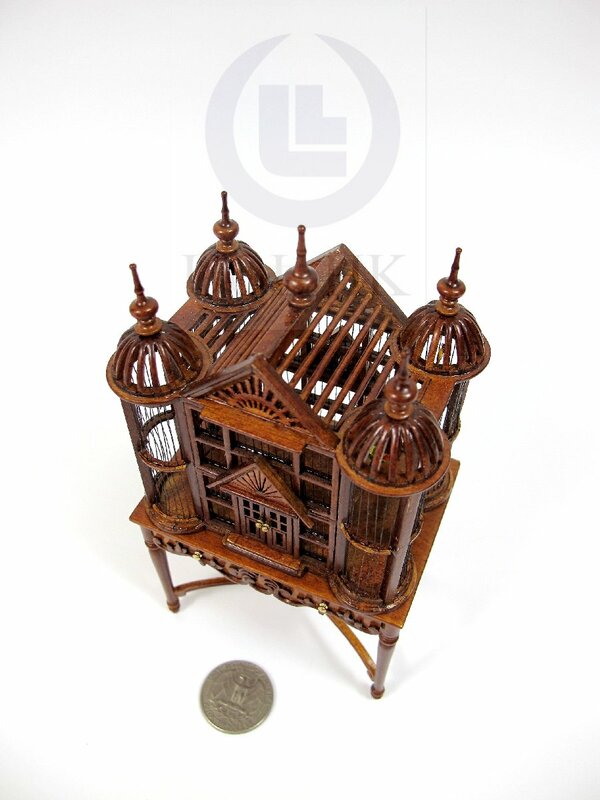 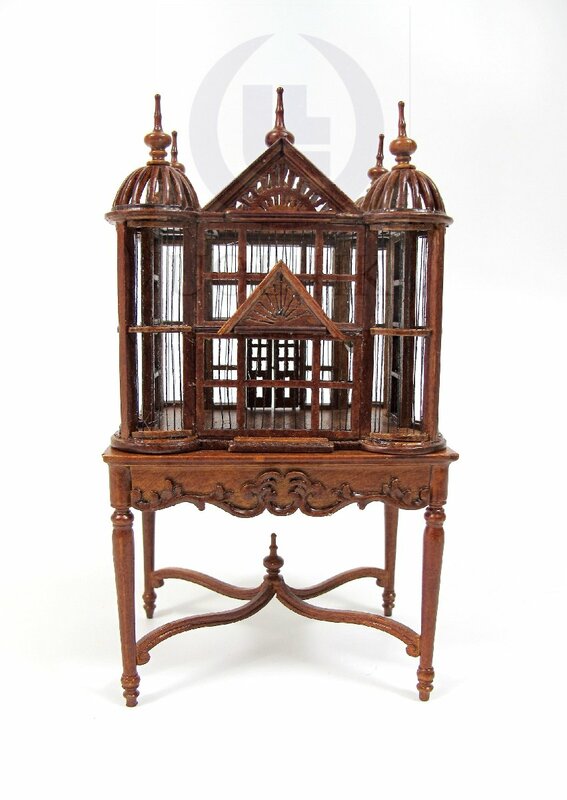 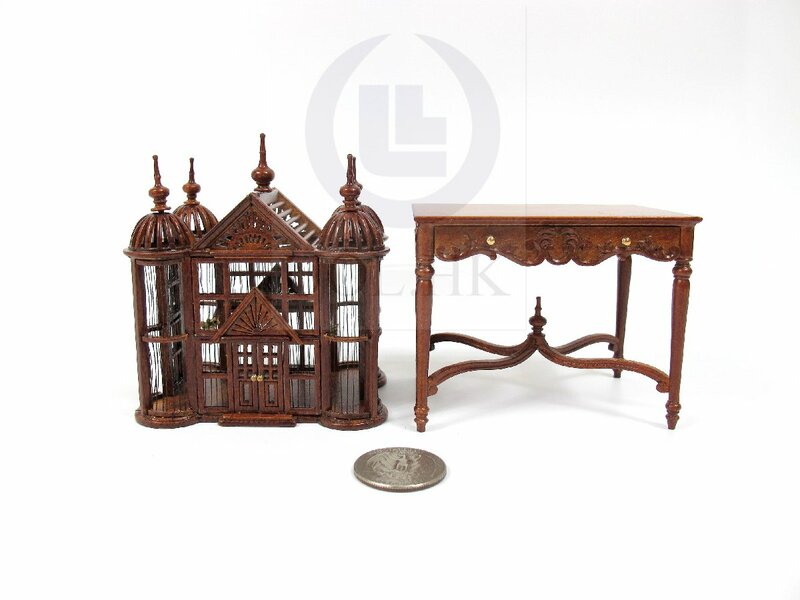 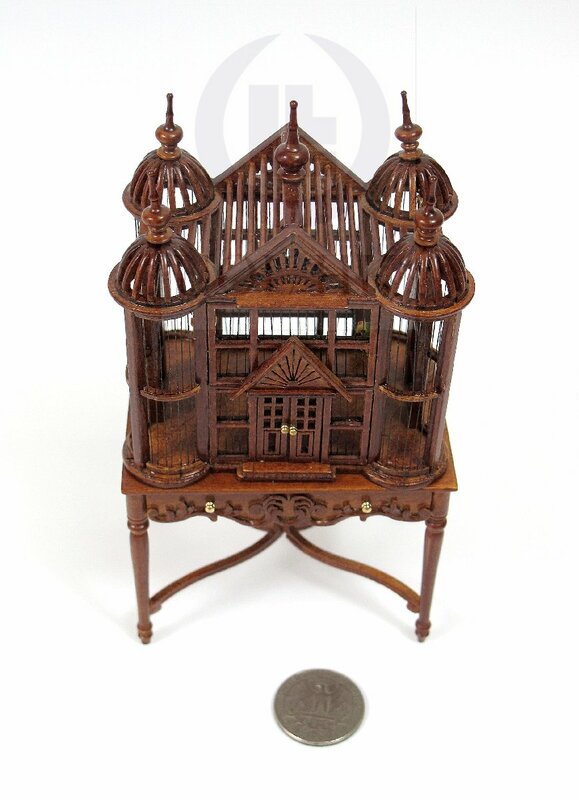 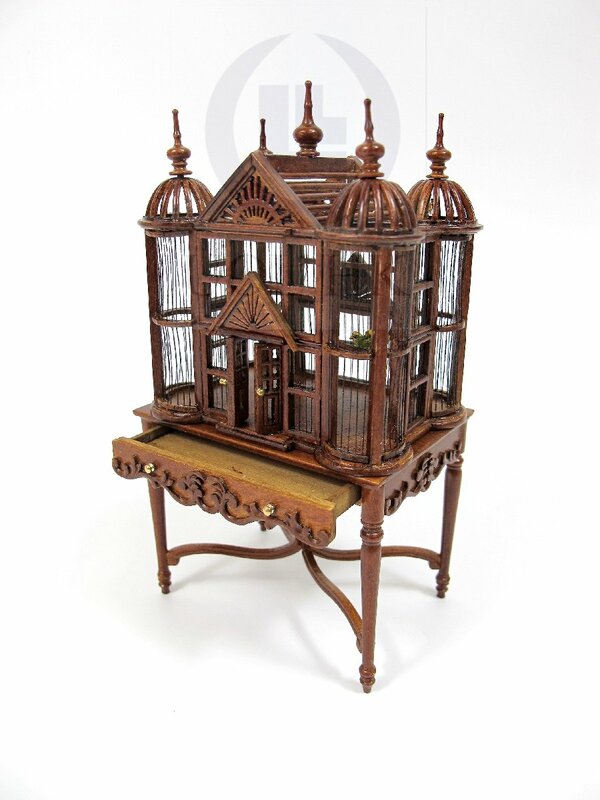 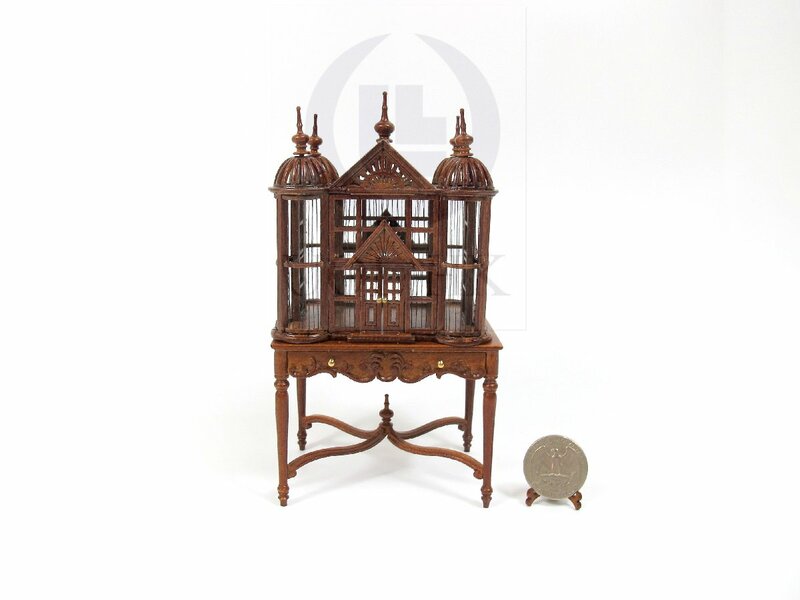 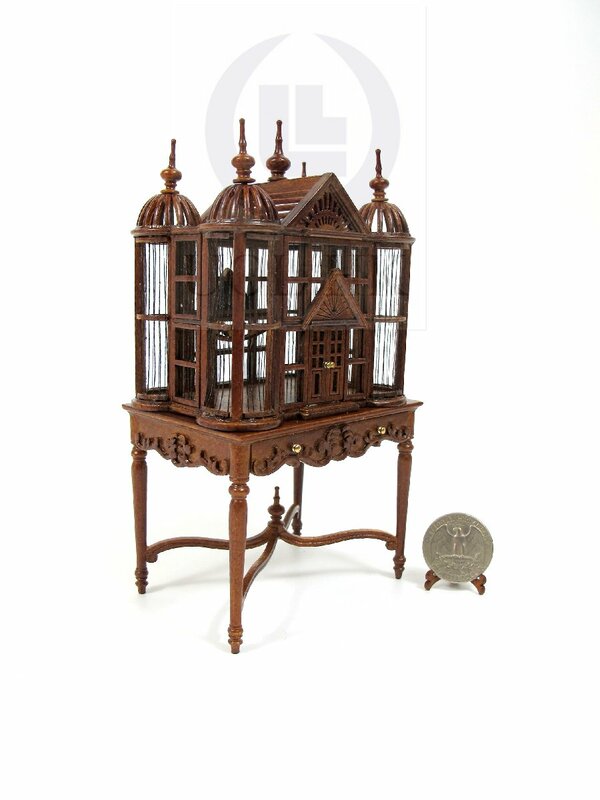 This exquisite bird house is a two piece item, made of wood finished in walnut with the table top custom carved to match the profile of the bird cage base. 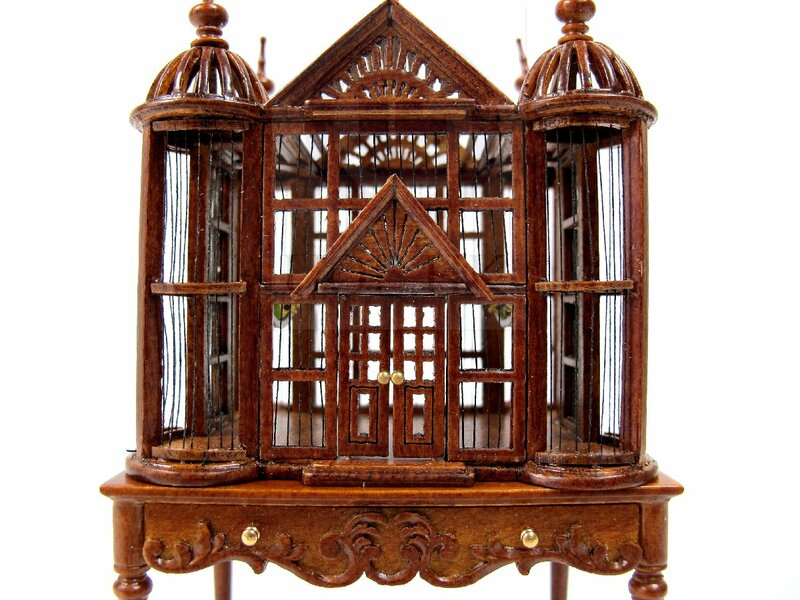 Double door and drawer opened, finials are loose. 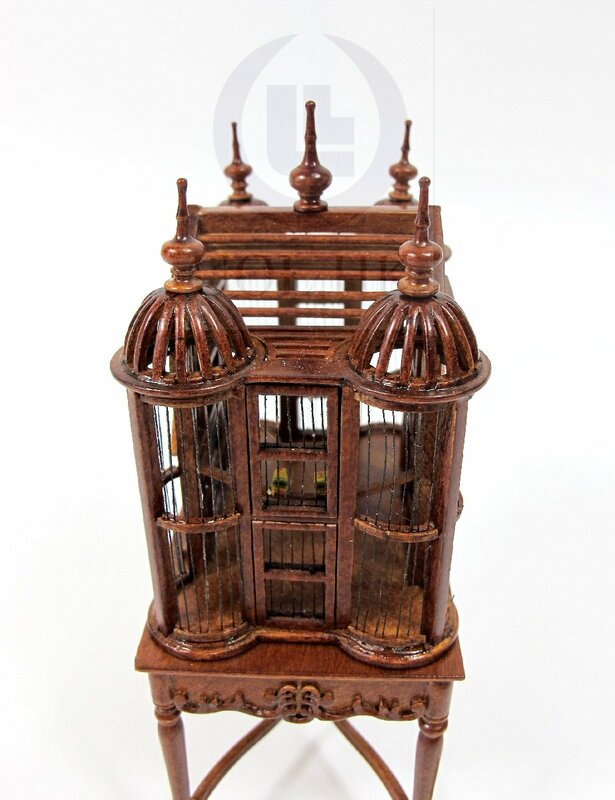 Four colorful wooden birds inside birdcage.